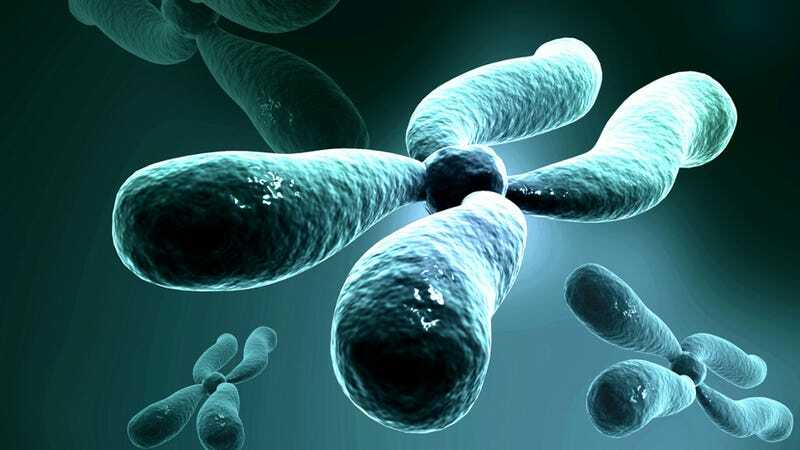 In a breakthrough seven years in the making, an international team of scientists have reconstructed a synthetic and fully functional yeast chromosome. It's a remarkable advance that could eventually lead to custom-built organisms — humans included. We are clearly in the midst of the biotechnology revolution. Twelve years ago scientists created the first artificial virus, and it was only four years ago that Craig Venter introduced the world to the first synthetic genome for bacteria. Then, in 2012, scientists created the first complete computer model of a living organism. No doubt, the field of artificial life is poised to irrevocably change the way we do biology. In this latest breakthrough, Jef Boeke and his team (including 60 undergrads!) at the New York University Langone Medical Center synthesized one of the 16 chromosomes of a standard brewer's yeast cell. They did so after deleting superfluous genetic material, including repeated sections, "jumping genes," and so-called junk DNA that doesn't code for proteins — portions deemed not necessary for the yeast's everyday survival. Chromosomes are packages of the genetic material located in our cells — the foundation of our basic biology as an organism. They specify the sequence of events that lead to the development of mature organisms, while offering a way for nuclear material to be packaged, protected, and maintained as it's passed from cell to cell. Amazingly, Boeke and his team, made substantive changes to the genetic sequence. The new chromosome, called SynIII, involved the design and creation of 273,871 base pairs of DNA — fewer than the 316,667 pairs in the original chromosome. That's over 50,000 modifications! And yet, it all worked; the resulting yeast was alive and well. The yeast continued to grow, converting sugar into alcohol, and reproducing. Moreover — and here's where it gets even more exciting — the researchers were able to insert their own special additions into the yeast chromosome. For example, one new function is a chemical switch that allows scientists to "scramble" the chromosome into thousands of different variations in order to make genetic modifications easier. In future, researchers should be able to apply these principles to the creation of "designer yeast" for the manufacturing of vaccines, medicines (such artemisinine, a drug to treat malaria) or more sustainable forms of biofuel (like bioethanol). Importantly, unlike bacteria and viruses, yeast is a microorganism consisting of a single cell — what are called eukaryotes (they have a cell nucleus). This is important because plants and vertebrates have cells like these, including us humans. It's an important proof-of-concept that's most certainly applicable to our genetic constitutions. But it'll be a while yet before this moves to the human sphere as our genome is considerably larger. We have over three billion base pairs, and they're much harder to rebuild. But once this happens, we'll be able to use this sort of biotech to do such things as increase human immune function, slow down the effects of aging or even boost our memory and intelligence. They could provide new forms of immunization, protecting against specific diseases like AIDS or certain cancers. And we could also be endowed with new capacities altogether, including the ability to see ultraviolet light, or navigation in the dark by a system of sonar similar to that employed by bats. Read the entire study at Science: "Total Synthesis of a Functional Designer Eukaryotic Chromosome." Other sources: Reuters, BBC, DW. Illustration by Lucy Reading-Ikkanda; top image: Creations/Shutterstock.